The Government of India’s mission to promote the spirit of entrepreneurship in the country, Startup India launched the Startup Academia Alliance programme, a unique mentorship opportunity between academic scholars and startups working in similar domains. The Startup Academia Alliance aims to reduce the gap between scientific research and its industrial applications in order to increase the efficacy of these technologies and to widen their impact. 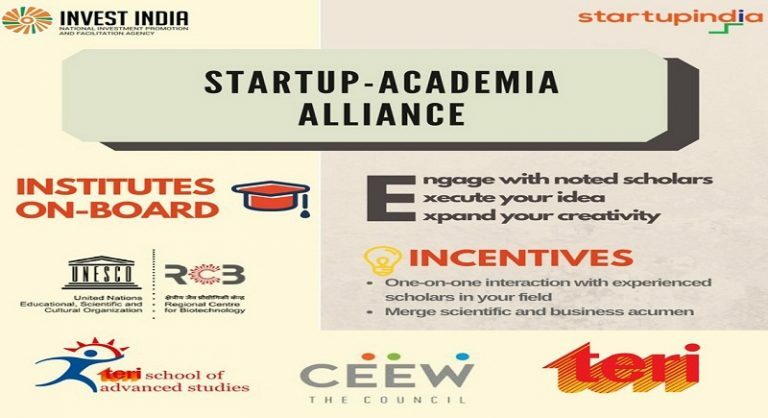 The first phase of Startup Academia Alliance was kickstarted through partnering with Regional Centre for Biotechnology, The Energy and Resources Institute (TERI), Council on Energy, Environment and Water, and TERI School of Advanced Studies. The applications for Startup Academia Alliance were hosted on the Startup India Hub, a one-stop destination for startups to apply for opportunities such as incubator and accelerator programmes as well as challenges organized by corporate stakeholders, with a user base of more than 2 lakh entrepreneurs and aspiring entrepreneurs from over 433 districts in India.